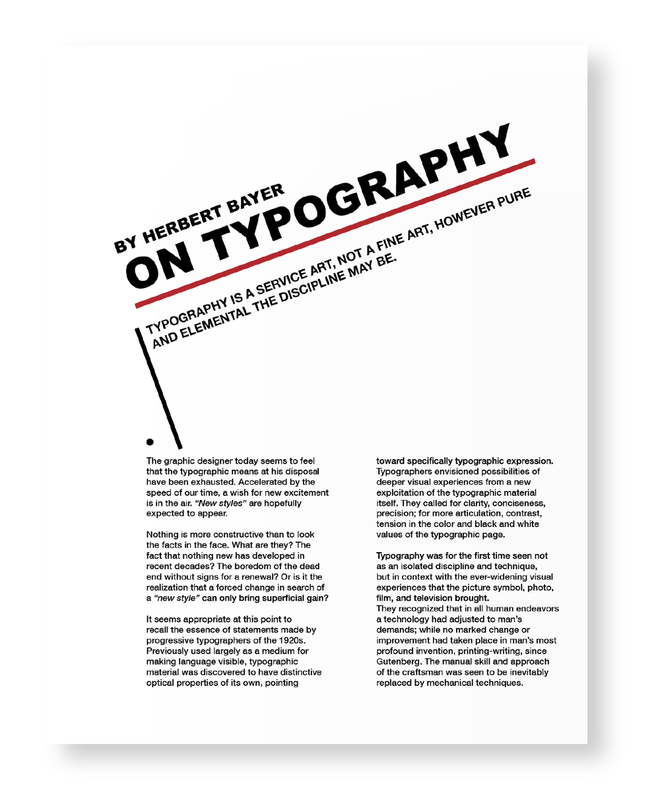 This project typesets Herbert Bayer’s writing “On Typography” following two artists’ design principles. The first is based on Jan Tschichold’s, using dynamic angles and shapes to draw attention to key headers and highlight the organization within the writing’s underlying structure. 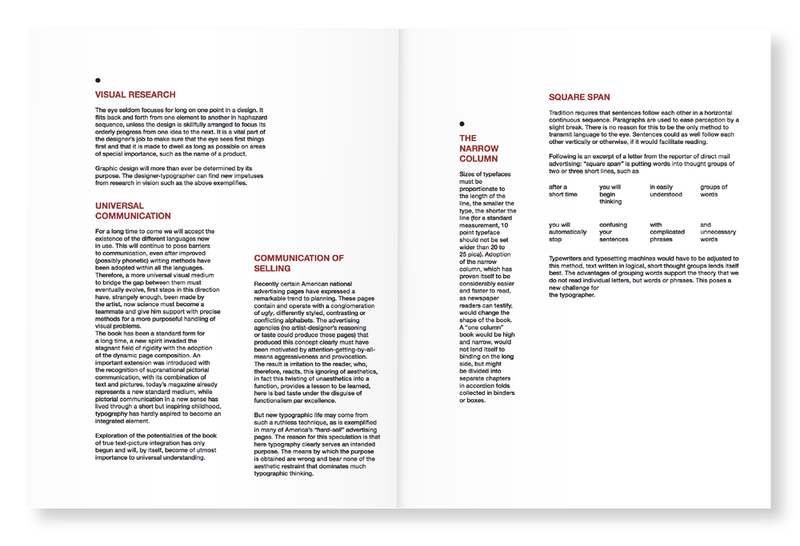 The second is based off of Bayer’s own principles for strong text design. In this version, text is rendered in an understated blue lowercase font printed on off-white paper, diminishing the contrast between the content being printed and the surface it’s printed on.